First-generation college graduates and current law students Sharod McClendon (left) and Tyler Mathis are creating the School of Law’s First-Generation Student Association, which they hope will create an inclusive community for those who are the first in their families to attend college. Thanks to a $3 million gift—the largest outright donation in school history—the University of Georgia School of Law will be able to continue transforming the legal education experience for many of its first-generation college graduates. The First-Start Scholars Program, created by a lead gift from 1982 alumna Kathelen V. Amos and the Daniel P. Amos Family Foundation, will begin awarding scholarships in the fall of 2019. Students will receive a partial-tuition scholarship as well as a professional development stipend. The law school in recent years has placed a strong emphasis on assisting its students who are the first in their families to attend college. With this gift, more than $5 million has been given to the School of Law to assist this cohort throughout their legal education. Concurrent with the creation of the First-Start Scholars Program, the law school will hire an adviser to work exclusively with first-generation students as they embark on their three years of law school. 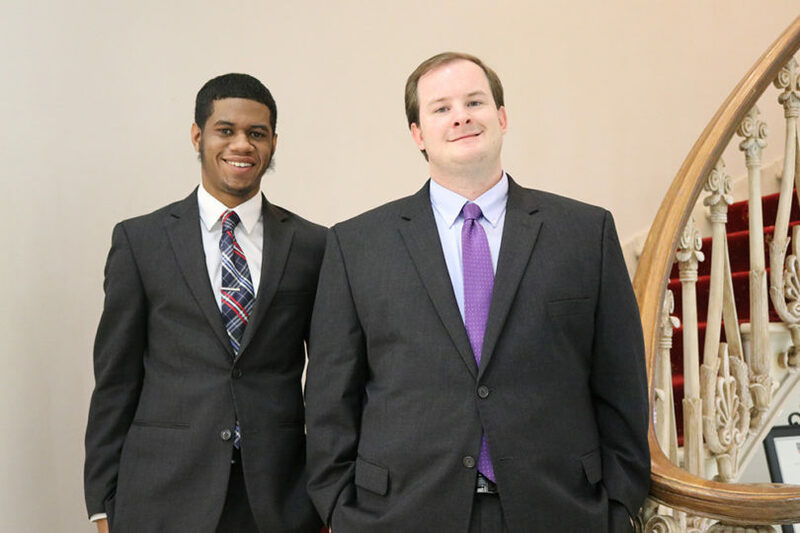 Additionally, current law students and first-generation college graduates Tyler C. Mathis and Sharod J. McClendon have led a charge to establish the School of Law’s First-Generation Student Association. Mathis is the recipient of the Stacey Godfrey Evans Scholarship, which is awarded to first-generation college graduates, and McClendon is a Benham Scholar, which is a program that benefits individuals who hail from or show a demonstrated intent to practice in legally underserved communities. “Being able to connect with each other and share our experiences – the similarities and differences” led the pair’s desire to “foster a community of people relying on each other and feeling like they belong here,” McClendon said. The student group will serve as a unifying force around the academic, emotional, financial and social issues relevant to first-generation graduates—a complement to the First-Start Scholars Program. With continued support from law school graduates and the legal community, the School of Law plans to eventually be able to offer financial aid to 100 percent of its first-generation college graduates, Rutledge said.